You cannot start a business just because you think you are capable of doing so. There are formalities that need to be observed before you get the business rolling. Many people consider this paperwork unnecessary and painstaking. But they don’t realise that there would have been a surge in wrongful businesses had there been no watchdog mechanism in this respect. If you have setting up a business on the cards then being diligent while filling out the paperwork will not only give you a sense of accomplishment but also ensure your business’s secure future. 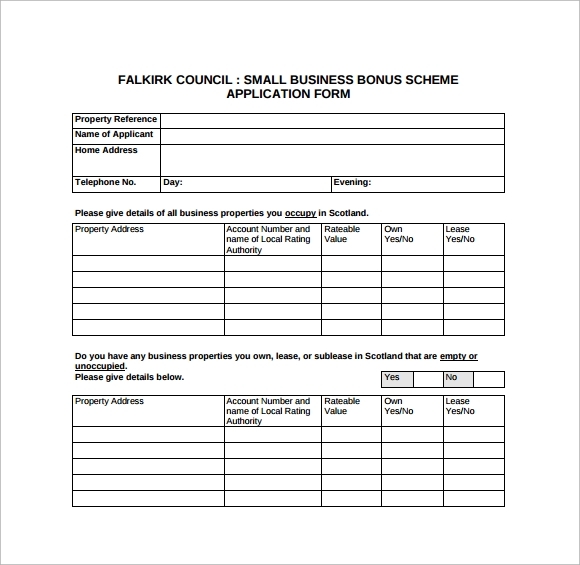 Even if it’s a home based business, you must fill out a Home Based Business Application Form to get approval for it from any concerned authority. You may also like Correctional Services Application Forms. 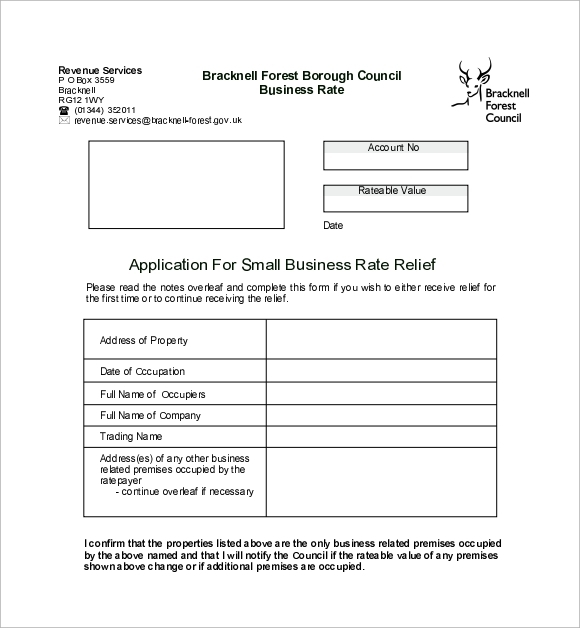 A Business Registration Form, as the name suggests, is required to be filled out and submitted to get a business registered. Registration of your business is important because unless you get it done, its existence will not be officially acknowledged. So, apparently the government or any responsible authority will be able to shut it down whenever any such need arises. How can you let that happen? Never allow your laxity lead to such repercussions. Always attach due importance to such official requirements.If you haven’t gone through such a form before, then you can browse through the internet for samples. They are available in plenty online. 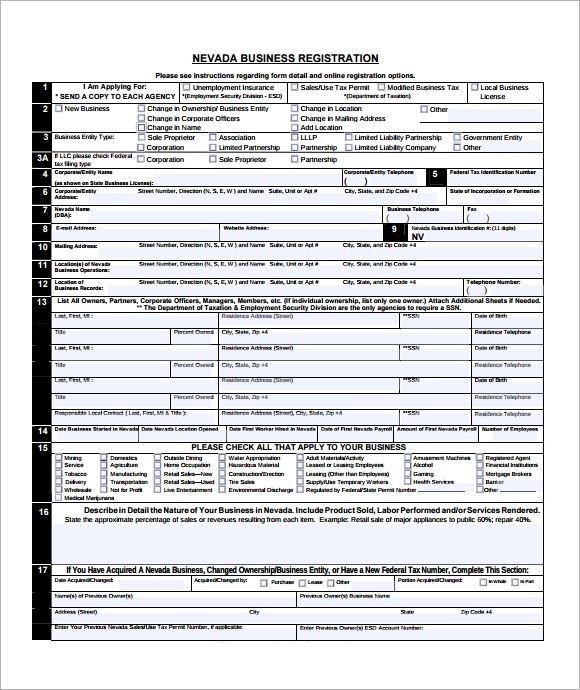 A Business Application and Registration Form kills two birds with one stone. 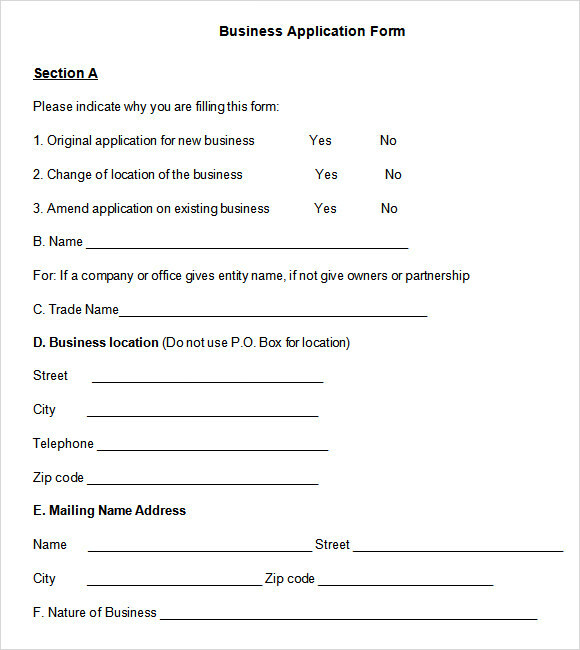 So basically, it’s a document that allows you to apply for your business while making it possible for you to also get it registered. 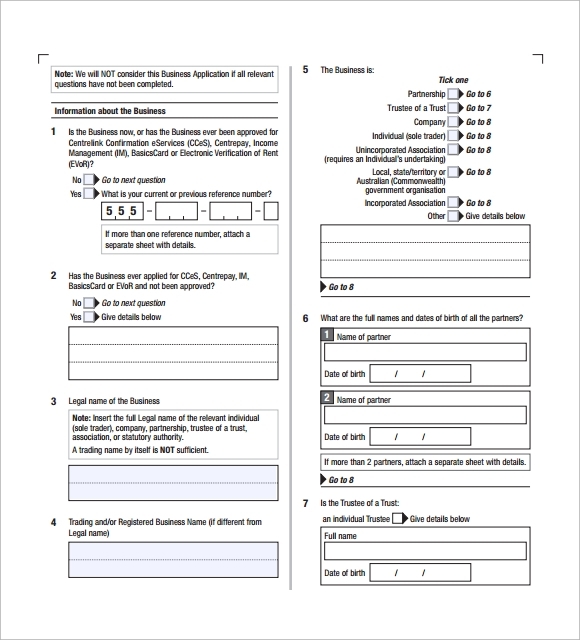 In case, you want to refer to such a form to get a hang of how two different important forms are merged together, you can look for samples over the internet. Another benefit of using a sample is that you get a good practice of filling it out. So, if ever in the future you come across one, you will be able to fill it out in no time. 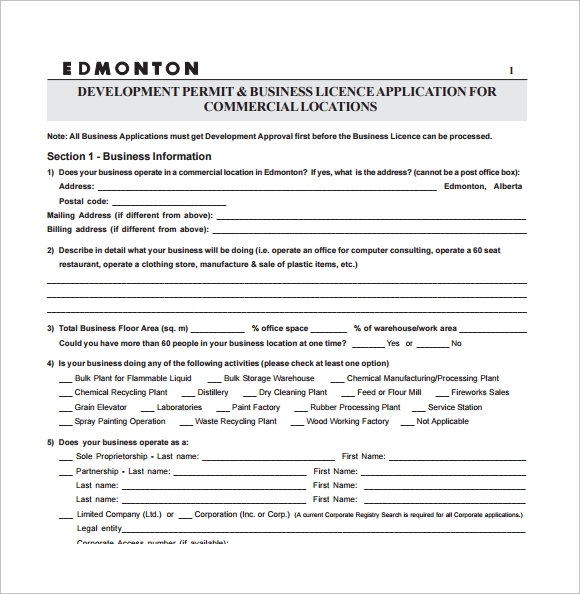 While a business application or a registration form can help you set up your business in a licit manner, paperwork of any kind is loathed by entrepreneurs. Why? Because they believe it consumes a lot of their valuable time. 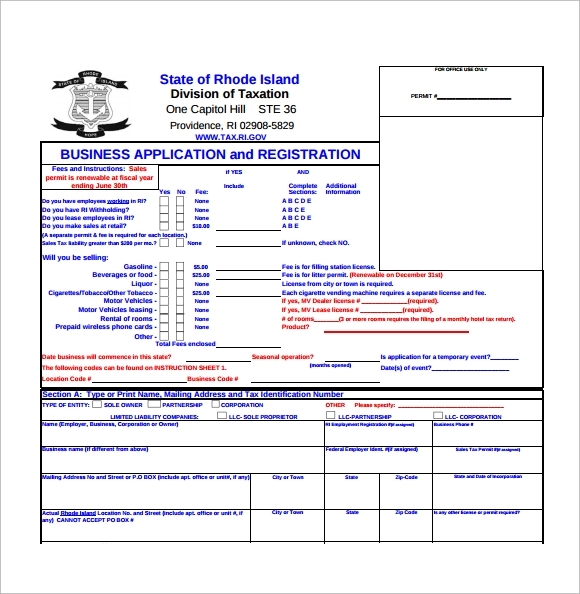 One important thing that they fail to understand here is that filling out paperwork diligently can prove beneficial to a business in a number of ways. 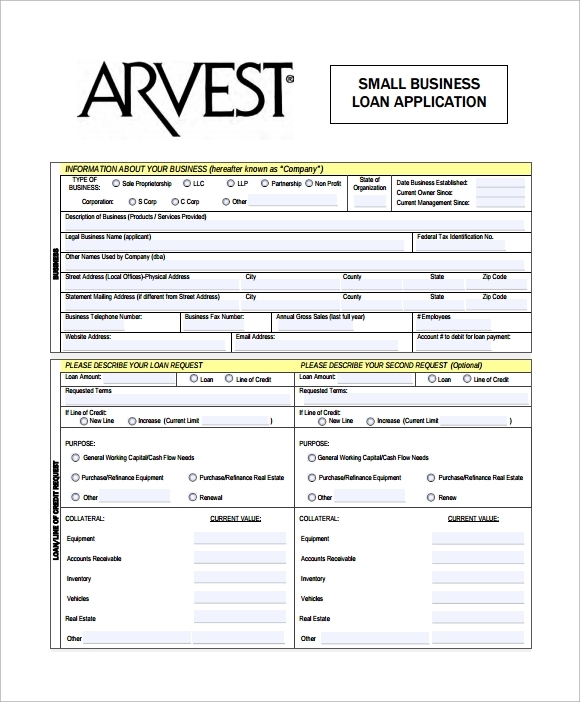 When you apply for your business and get it officially registered, you become eligible for bank loans. Not just that, you can also open a business bank account, which without having your business registered is impossible. Besides, you build a good reputation among your customers. All in all, the benefits are countless. You may also like Civil Service Exam Application Forms. You can download sample forms or templates from the internet. All you need is a source you can bank upon. Look for options that appeal to you from all aspects starting from appearance to price. Once you have narrowed down your choices, you won’t find it difficult to zero in on the best available option.